Linda Huber lives in Arbon, Switzerland where she works as a language teacher in the beautiful and inspirational setting of Arbon Castle, overlooking Lake Constance. Born and raised in Glasgow, Scotland, Linda left for Switzerland, aged 22, with the view to working and travelling for a year but remained there to raise her two children. Linda originally trained as a physiotherapist and worked in this field for many years before moving into teaching. Close contact with neurological patients and handicapped children has given her an insight into the different coping mechanisms people have when faced with difficult and stressful situations and this has helped her in her writing. Linda has had the writing bug since she was very young and has seen over fifty of her short stories and articles published. She loves to read suspense and thrillers and writes in this genre. 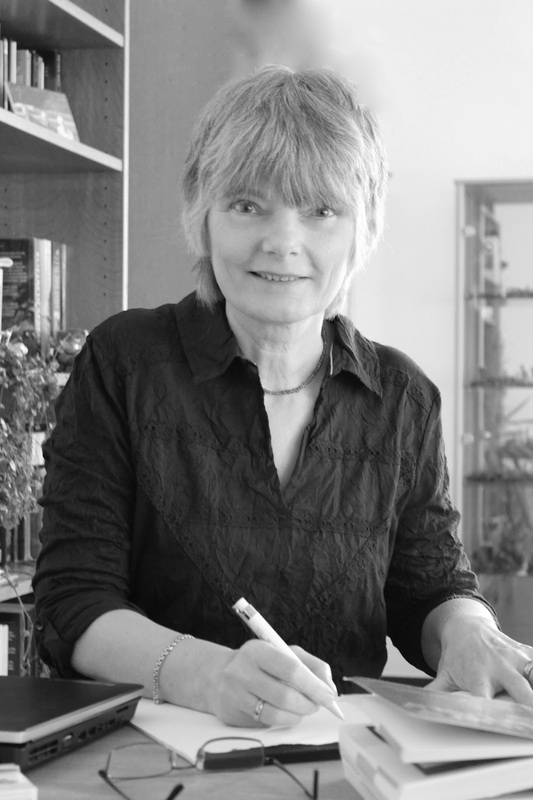 Although Linda has been writing throughout her life she considered it a hobby until the publication of her first novel, The Paradise Trees, in September 2013. Just a year later, in August 2014, The Cold Cold Sea, was published and now, July 2015, her third novel, The Attic Room, has just been released. The Attic Room: When Nina is bequeathed a substantial estate from a man she has never heard of her life is thrown into turmoil as she unpicks the threads of her past and that of her mysterious benefactor. Having travelled from her house on Arran to see the house she has inherited, Nina becomes embroiled in blackmail and lies as she uncovers dark family secrets. It is a novel full of suspense and intrigue and we wish Linda every success with it. A trailer of the novel can be viewed. I started as a seven-year-old, doing my Writer’s Badge in the Brownies and discovering that this was something I REALLY enjoyed. That was it; I haven’t stopped for longer than a few weeks ever since. As a youngster I wrote stories about children and these became novels for children. By the time I had my own boys I was also writing short stories for magazines, and when that was moderately successful I began my first adult novel, the book which became The Cold Cold Sea. I sent it to a few agents over the years but never really thought it would be published. But to my astonishment, in 2012 Legend Press picked up my second novel The Paradise Trees (thus turning it into my first published one) and I was a published writer! I love writing – creating my paper people, shaping their world, their hopes and fears, their story. It’s the best feeling in the world when you write something and it works. I’m not sure I have a role as a writer because I write very selfishly, for myself first of all. And in a way it’s like having children – I love my book ‘babies’ and I’m gratified when others like them too, but I would still feel the same about them if no one else ever read them. No. I’ve created a character who does awful things – the Stranger in The Paradise Trees – but although I see what made him the way he is, that isn’t truly empathy because I don’t understand how anyone could make such bad choices. Many people have similar childhoods without becoming Strangers. In The Cold Cold Sea I can empathise with Phillip, who does a truly terrible thing, but he’s such a nice guy, I just want to hug him! If you could be transported instantly, anywhere in the world, where would you most like to spend your time writing? Ooh, if instant transport was available I’d go to a different place every week and soak up inspiration. I’d start in Scotland, on one of the islands, then I’d go to Cornwall and Greece and to Hawaii and California and New York. It sounds amazing. Wish it was possible! A High Wind in Jamaica (by Richard Hughes). When you’ve written your novel, you’re a novelist, and your job now is to make it the best novel it can become. For this you need outside help. (If I’m allowed to make recommendations here I’ll mention The Writers’ Workshop. I still work with the editor I met there in 2011.) Then you can choose if you want to look for an agent, a small indie publisher, or self publish. There’s never been as much choice as we have today. 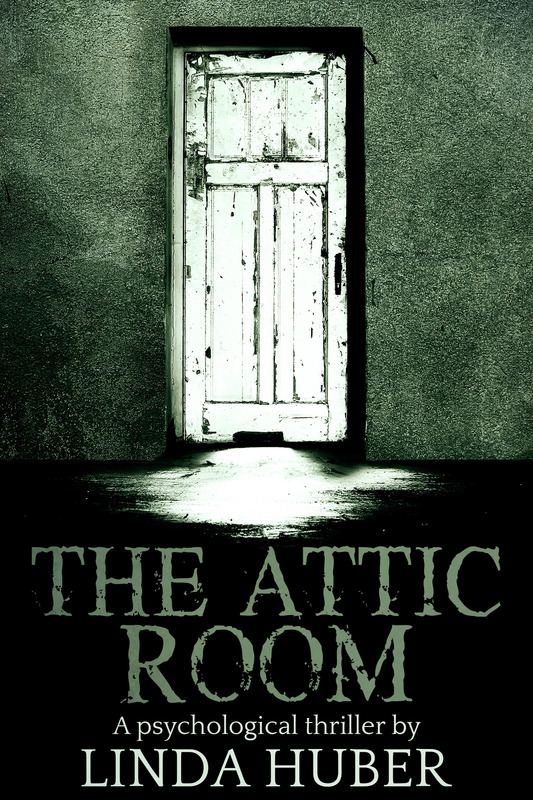 I’ve just self-published The Attic Room and hope to have another out this year or early next. Then I have a further completed and edited novel and at the moment I’m swithering about what to do with this one. My work-in-progress has a working title of The Death of Grandma Vee. It’s based on a lengthy subplot we edited out of The Attic Room because it was really a novel in itself. It’s fascinating using it now with different characters - the plot is developing in quite a different way. Helen Barbour was born and brought up in Lichfield, Staffordshire, and now lives in North London. She began her working life as a journalist on the Express & Star evening newspaper in Wolverhampton, and has written for the lifestyle magazine, Complete Wellbeing, and for the mental health charities Mind and OCD Action. Raj Persaud, well known consultant psychiatrist, (and ex-member of Greenacre Writers) recently interviewed Helen about her OCD. She blogs as The Reluctant Perfectionist about living with obsessive‑compulsive disorder, perfectionism and anxiety. Helen enjoys red wine, live stand-up comedy and adventurous travel and experiences, which have included trips to the Arctic, ballooning and a tandem skydive. Her life’s ambition is to figure out what ‘good enough’ means. 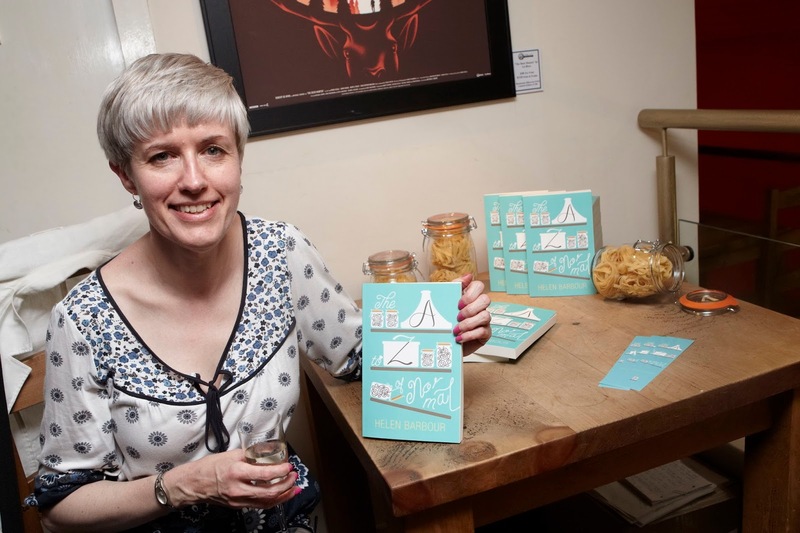 Helen is a member of Greenacre Writers, whose Finish That Novel group helped her to fine-tune her debut novel, The A to Z of Normal, which has just been published. This week, Helen talks to us about why and how she wrote it. What inspired you to write The A to Z of Normal? Like many a writer – and, indeed, non-writer – I’d been saying I wanted to write a novel for years, but did nothing about it until one of my closest friends was diagnosed with terminal cancer. That made me reflect on what I would want to have achieved, if that were me, and provided the impetus for me to turn my dream into reality. I was inspired to write about mental health issues by my own experience of living with obsessive-compulsive disorder and anxiety. There is still a huge amount of stigma around mental health, and I wanted to raise awareness and understanding, but to do this in an accessible way. It’s the story of a woman struggling to overcome her obsessive‑compulsive behaviour, so that she can marry the man she loves, while also dealing with some difficult family relationships. My approach is similar to that of Mark Haddon, who wrote The Curious Incident of the Dog in the Night-Time and A Spot of Bother, in which the central character suffers a mental breakdown. I write in a similar vein: tackling serious topics, but with a light touch. It’s always hard to answer that question! I started it nearly 10 years ago, but when I say ‘started it’, I mean that I faffed about for the first 10 months, doing research, plotting and developing characters…until some friends on a writing forum pointed out that I had turned a necessary activity into a form of procrastination. It was certainly much more fun – and easier – to sit and make up characters than to put fingers to keyboard and actually write a book. When I finally started, I set myself the target of producing 2,500 words a week, as the prospect of writing 100,000 words was too daunting to contemplate. The first draft took a little over a year to write and I was pretty pleased with the end result. Just a bit of tinkering and editing and it’ll be done, I thought…until I read it again three months later. In fact, every sentence was badly overwritten, some chapters were utterly contrived and, worst of all, it was in the wrong tense. The second draft largely consisted of converting the text from the past to the present tense, which wasn’t nearly as easy as it might sound. And so began years of rewrites – if I’d known at the outset how many were to come, I might have thrown the whole thing on the fire at that point! In fact, I lost count of the number of so-called ‘final’ drafts, but none of that work was wasted. With every redraft, I learned more about my craft: from technical skills, such as how to use a semi‑colon correctly(! ), to the subtler aspects of writing, like adding symbolism and developing sub-plots. I also left the novel untouched for long periods, while I made submissions to agents and publishers. What prompted you to self-publish? In spite of getting a lot of great feedback, including two requests to see the whole manuscript, I didn’t receive any offers of representation; as most writers will know, it’s a tough time to be an unknown debut novelist. Ultimately, I decided that it was more important to me for my book to be out in the world, being read, than to secure a traditional publishing deal. From the comments and reviews I’ve had so far, I know I made the right decision. Anna has just published her memoir, A Hippopotamus at the Table, the story of a journey to a new life in Cape Town, South Africa in 1975. 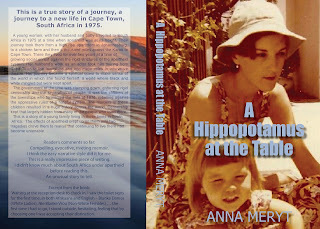 Anna, with her husband and baby travelled to South Africa in 1975 at a time when apartheid was at its height. Their journey took them from a high rise apartment in Johannesburg, to a chicken farm and then a thousand miles across the Karoo to Cape Town. There they lived for over two years at a time of growing social unrest against the rigid strictures of the apartheid system. Her husband’s work as an actor took him touring from Cape Town to the townships and into major roles in innovative theatre. Anna's journey became a spiritual quest to make sense of the world in which she found herself, a world where black and white mingled but were kept apart. The government of the time was clamping down, enforcing rigid censorship and the separation of people. It was the children of the townships who fermented the riots of 1976, rebelling against the oppressive rules of a hateful system. The murders of these children resulted in a huge outcry across the world. Censorship kept that largely hidden from many of the people who lived there.This is a story of a young family living in those times in South Africa. The effects of apartheid crept up on them until two tragedies drove them to realise that continuing to live there had become untenable. "Waiting at the reception desk to check in, I saw the toilet signs for the first time, in both Afrikaans and English – Blanke Dames (White Ladies), Nie Blanke Vrou (Non-White Females) … the first time I had to go, I stood outside, hesitating, feeling that by choosing one I was accepting their distinction."